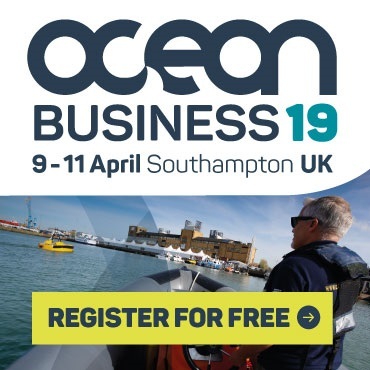 Ocean Business promises to be an incredible global show offering the very latest technologies, water-based demonstrations and learning opportunities, as well as Offshore Survey, Ocean Careers, key international associated industry events and an amazing line-up of social opportunities for networking. As part of the NOC’s presence at the event this year, the Centre will be hosting a number of workshops and seminars alongside the Ocean Business programme. The NOC is the UK’s leading institution for integrated coastal and deep ocean research. The Centre undertakes and facilitates world-class, agenda-setting scientific research to understand the global ocean by solving challenging multidisciplinary, large scale, long-term marine science problems to underpin international and UK public policy, business and wider societal outcomes. This year, the NOC’s key aims are to understand the needs of industry, and to demonstrate how the NOC’s science and technology can be used to deliver information that can support and underpin industry objectives. This will be facilitated through our workshop and seminar programme, held daily throughout Ocean Business in our Seminar room. The NOC operates the Royal Research Ships James Cook and Discovery, manages the largest centralised fleet of marine autonomous systems in Europe, and develops pioneering technology for coastal and deep ocean research. This session will enable visitors to understand the opportunities that exist to charter and utilise the NOC’s assets. What information are these ODA projects (CME, SOLSTICE) seeking to gain and understand about the economically exploitable environment? How can NOC support this with technology and science? What are the opportunities for industry and the NOC? The capabilities of our science and technology teams and how these resources can be applied to global challenges in collaboration with industry. How our marine information and data products are already being used by industry and what challenges we might be able to help industry to address in the future. Registration for Ocean Business 2019 if now open. Get your free visitor pass here.